Andrew Scott known for his hugely successful international riding career including 7 National titles and a team gold in the World Equestrian Games, found his true passion when he started coaching. With his wife, Louise, their joint success and experience of having started over 75 four star horses, many of which went onto compete internationally, gives them a leading edge in their training philosophies. From the inception of Equestrian Sports New Zealand (ESNZ) coaching programme, Andrew has been recognized as an elite ESNZ coach in all three disciplines, Dressage, Show Jumping and Eventing. 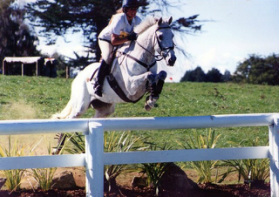 Andrew's list of coaching achievements are lengthy from coaching PC Champs and SJ teams, to six years of coaching the NZ Under 21 eventing team, with the incredible achievement of being undefeated. His international coaching experience, includes coaching Brazil at the 1994 WEG and to double gold at the 1995 Pan-American games. More recently Andrew has coached the Indian Eventing team for the 2014 Asian games. Andrew has mentored and coached other riders to progress to international representation for NZ, Brazil, Thailand, and Denmark. In 2012 Andrew was recognised for his coaching achievements by being awarded the Prime Minister's Coaching Scholarship. A Massey University Adjunct Lecturer and equine consultant, Andrew's coaching philsophy is centred on althete empowerment and keeping things simple. Andrew's additional strength in sports psychology gives the rider a competitive edge. His sports psychology and life skill seminars are popular to athletes of all standards and ages, from all sporting disciplines, enabling them to achieve life goals. Louise is in an integral part of the business, and as a former competitive rider at two star level, brings her own experience, and holistic approach to horse welfare. She also plays an important role in management. Check out our Clinic/Events page for a clinic near you or contact us to organise one in your area - especially with summer holidays coming!